Laura starts her GO Wales Taster with Petersens! I’m half way into my summer after finishing my second year at University of Birmingham. I study International Relations and although I have hugely enjoyed the optional modules I have got to choose this year, I am well aware that my degree is far from “vocational”. As such I have been desperate to find some work experience this summer to give me some credibility amongst the masses of students. 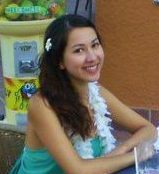 I have always been drawn to the world of PR and marketing due to its multi-faceted and sociable nature. On attaining a work taster with Petersens, I couldn’t have been happier. 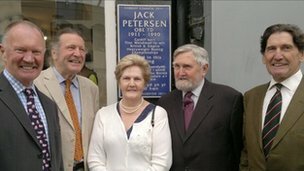 I know Petersens has an excellent reputation in South Wales so the chance to work for them was very exciting. I have to say I felt a huge wave of gratitude towards Go Wales for helping me obtain the placement and making the process so straight forward. Having received such a warm welcome from the staff at Petersens I was immediately put at ease. Looking at Petersens, I can really see the benefits of a small company. There is a really friendly atmosphere and it is clear the relationships between co-workers are strong and as such the communication regarding work is optimum. I can also see that staff understand the work of fellow workers and nothing is a mystery to them. I like how the small size of the company gives staff the opportunity to get involved on all levels of the work. It is only midday on my first day at Petersens and I feel I have already gained a great insight into how PR and marketing companies work. I look forward to engaging with the many aspects of PR and marketing further! There will only be one place to be in Cardiff this evening; the Cardiff Stadium as our City team take on Charlton Athletic to gain that crucial one point to take them into the Premier League. As Swansea has shown, the economic benefit for Cardiff could be truly immense, as well as placing us on the global map. I read in today’s South Wales Echo that Professor Tom Cannon estimates City’s promotion would generate up to an additional 5000 jobs and a £120 million bonanza for Cardiff!! What a wonderful prospect for the capital and its residents. 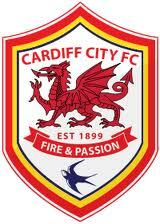 Good luck Cardiff, we are backing you all the way! Pob lwc Caerdydd! Ann Beynon, BT’s Director for Wales, supercharged the Breakfast Club’s opening meeting of the Autumn season with a presentation on the ‘silent revolution’ the telecoms giant is bringing to Wales. Ann smilingly said that she was ‘not going to apologise for the technical detail’ her in-depth presentation involved, as it was ‘important for your businesses to know’. However, she admitted that being trilingual and having studied Medieval Welsh perhaps helped it to seem less complicated! BT has invested £2.5 billion into bringing superfast broadband to two-thirds of the UK by 2014, a deadline already brought forward by a year due to the roll-out’s success so far. This huge feat of civil engineering will build a revolutionary ‘superfast’ broadband infrastructure, with download speeds already hitting 80Mbps and 300Mbps on the horizon. The superfast roll-out will happen on a number of levels. Firstly, the existing copper network, originally intended only for voice transmissions, will receive a fibre ‘overlay’. The familiar copper roadside cabinets will be joined by fibre network cabinets, with massive amounts of fibre already present in Cardiff. The second phase will take the fibre network from cabinets to premises on demand, offering speeds of 110Mbps. Deploying fibre as an overlay to the existing network enables BT to offer reduced costs. Indeed, Ann stated that telecoms bills are the only utility rate to have decreased in recent years, despite modern life depending more and more on connectivity. The final platform, the Ethernet network, offers potentially massive speeds and is intended for business use. BT is also trialling expansion of their 4G and wi-fi technologies to deliver broadband signals. Ann was keen to stress the importance of Cardiff to BT. The company’s Global Development Centre is housed in the Bay, with over 300 software engineers working in real-time with partnerships in the US and in India. Cardiff will also be 1 of 20 UK trial sites for the fibre-to-premises product. With BT’s help, Cardiff will soon become 1 of the UK’s 10 ‘superconnected cities’, with the results of a £12 million funding bid due this month. These super speeds will have advantages across the board, from attracting inward investment, to enable local businesses to flourish and improving opportunities for home working. On a more social level they will facilitate greater digital inclusion, and encourage young, skilled professionals to stay in the area. Even the housing market would feel the benefit of ‘fibring up’, with 57% of respondents to a recent study saying they would pay more for a house with superfast broadband. BT also intend to create numerous jobs during the roll-out, as well as 100 apprentices. Ann said that she genuinely believes fibre is a key part of any growth strategy for the UK economy. With Wales at the forefront of the revolution, we look set for a superfast future! I fully support the findings of the report undertaken by the Cardiff Business School on the role of agencies in attracting inward investment. Wales has been slipping badly over the past few years, and now we learn that only 2.6% of the UK total inward investment profits in 2011 came to Wales. In 2002 it was 11.8% – a huge difference. As with tourism, we must attract both visitors and inward investors to Wales. 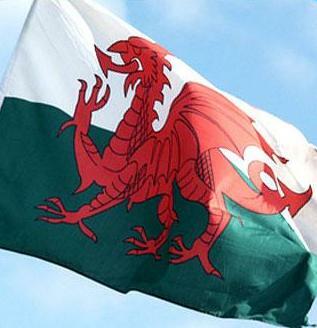 The Wales brand must be reinvigorated and relaunched, to really push Wales’ U.S.P’s – of which there are many! – to visitors and inward investors alike. I am strongly in favour of the comments made in today’s Western Mail, suggesting the formation of an extended advisory panel to support not only the inward investment team but also those running our vitally important tourism sector. I believe the Minister should prepare a list of the most successful Welsh businessmen and women from around the world to sit on this panel, and be given real power to influence strategy and implementation. To engage such individuals would result in huge benefits to the nation, and those responsible for selling Wales to the world. A report published this week from the Micro-Business task and finish Group commissioned by Business Minister Edwina Hart shows clearly what many small business owners already know: that there is way too much bureaucracy surrounding current procedures for micro-businesses to tender for public sector work. Micro-businesses, like mine, account for 94.5% of all businesses in Wales and provide a third of private sector employment; some 331,400 jobs. If we were to be helped and encouraged to take on just one extra member of staff the result would be huge for Wales and for our economy. I applaud both the authors of the report, chaired by Robert Lloyd Griffiths, and the Minister, who has agreed to “take forward” the recommendations and confirmed that a draft implementation plan would be published soon. I for one will be reading it with great personal interest. Dame Gillian Morgan has been the Permanent Secretary at the Welsh Government since 2008. Born in Llwynypia, Gill worked as a doctor in hospitals, general practice and public health before moving into management as Chief Executive of a Health Authority, and latterly, the NHS Confederation between 2002 and her move to Wales. Following the referendum on the extension of powers these are interesting times for Government in and of Wales and we look forward to hearing from the person who is at the very centre of this activity. The next Club Meeting will be held on Tuesday 13th December 2011 at The St. David’s Hotel & Spa, Cardiff Bay. As usual, we will commence at 7.45am and finish by 9.15am. Breakfast will be served promptly at 8.00am. We would be delighted if you were able to join us. If you wish to attend, please return contact Becci Gould on bec@petersensone.com or 02920549597. We hope you can find time to join us and look forward to seeing you. Morgan Cole. Cardiff & Co. Western Mail. Special Guest Speaker: Lieutenant Colonel Didi Wheeler, Commanding Officer 2nd Battalion The Royal Welsh. Lieutenant Colonel Didi Wheeler commands the 2nd Battalion The Royal Welsh, one of only three Welsh Infantry Battalions and is nearing the end of his two and a half years in command. The Battalion is currently based in Tidworth Garrison, Wiltshire but has recently been on the front-line, serving on operations in Iraq and Afghanistan. He will talk of his unique experiences in command, give you a better understanding for life in the Welsh Battalion today and particularly the hardships and challenges the ‘Welsh Warriors’ have faced in the fight. His talk will also provide an insight to potential changes that are likely to shape Defence and the Battalion in the years to come. The next Club Meeting will be held on Wednesday 19th October 2011 at The St. David’s Hotel & Spa, Cardiff Bay. As usual, we will commence at 7.45am and finish by 9.15am. Breakfast will be served promptly at 8.00am. We would be delighted if you were able to join us. If you wish to attend, please email Becci Gould, Account Executive on bec@petersensone.com. Please note, any seating requests should be made clear at time of booking. 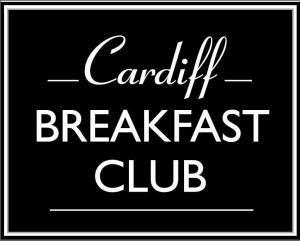 The Cardiff Breakfast Club regrets there can be no refunds should you cancel after Monday 17th October. Should you be unable to attend, a substitute is welcome at no extra charge. Morgan Cole. Marsh. Western Mail. Lloyds TSB Commercial. Cardiff & Co.